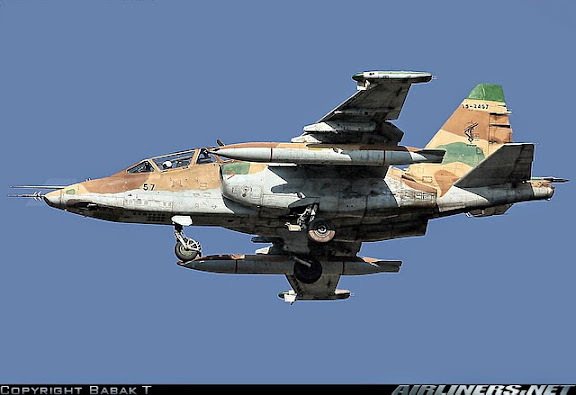 IRGC-AF has transfered all it's operational Su-25 type close air support aircraft to Iraq to be employed against ISIL and it's allies during the ongoing 2014 Northern Iraq Offensive. 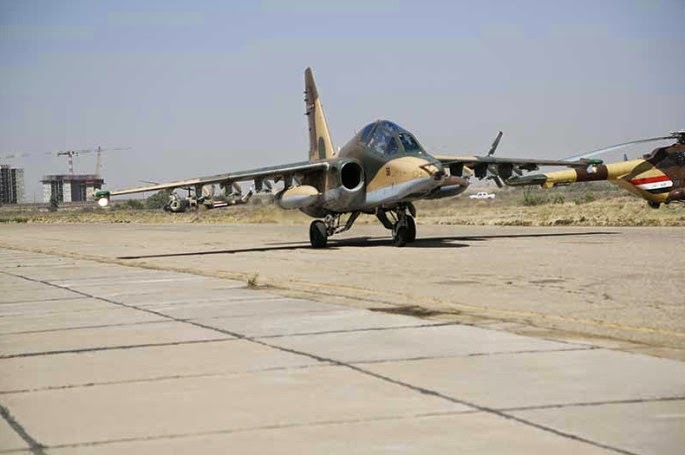 The seven Su-25 type aircraft are now deployed at Imam Ali bin Abi Talib Air Force Base (ICAO: ORTL / LID: TAL), along with recently delivered ex-RuAF Su-25 type aircraft. The aircraft transfer deal appears in effect with American acquiescence or approval. There are also indications reported by Aviationist blog and "Jassem Al Salami" at WIB blog that Iranian combat aviation forces have possibly conducted bombing missions at Baiji on 21JUN14. COMMENTARY: IRGC-AF participation may appear similar in ways to American Farm Gate operations during early U.S. military efforts in the Vietnam War. As such, it's possible these IRGC-AF flown and/or assisted combat missions could likewise be the harbinger of ever greater commitments by Iran, as occurred with American military involvement in Vietnam following the 1964 Gulf of Tonkin incident. "The aircraft transfer and support contract is said to provide Iran's IRGC-AF with six Sukhoi Su-30K multirole combat aircraft previously designated for Iraq." I don't understand. 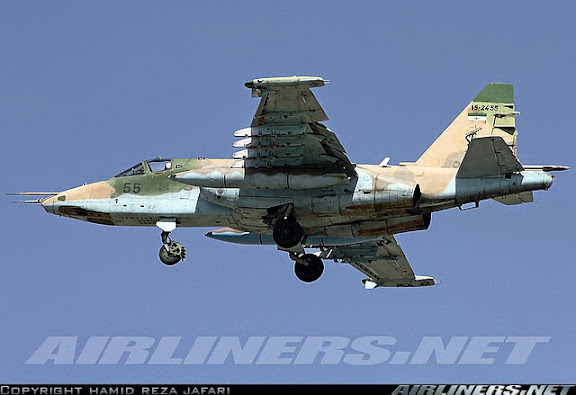 Who was supplying Iraq with these Su-30K aircraft and why are they now going to Iran? Nice post but I think you've mistakenly identified all but the first picture as variations of su-24's. 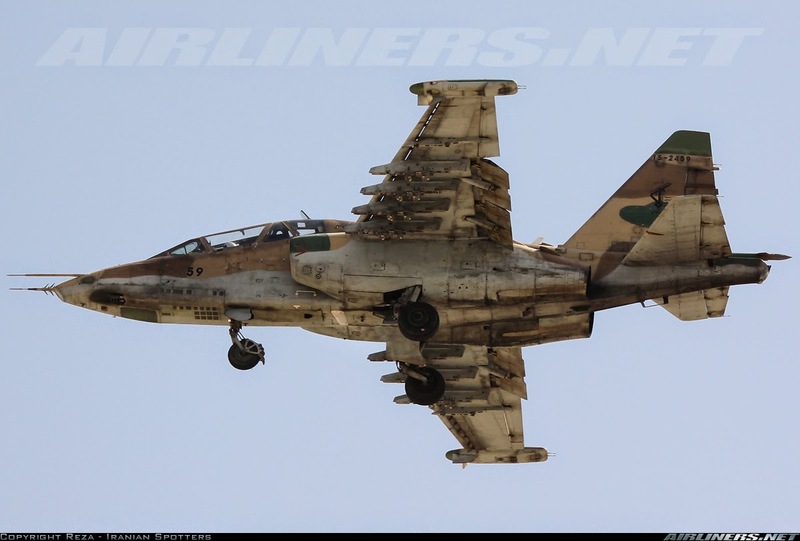 These are su-25's. Iran may have to send in ground forces, as Saudi Arabia prepares 30,000 troops. Explosion waiting to happen between Iran and Saudi Arabia? This is the most important aircraft in the Iraqi air force inventory as of now, even though once deliveries are finished, they will number just 12. 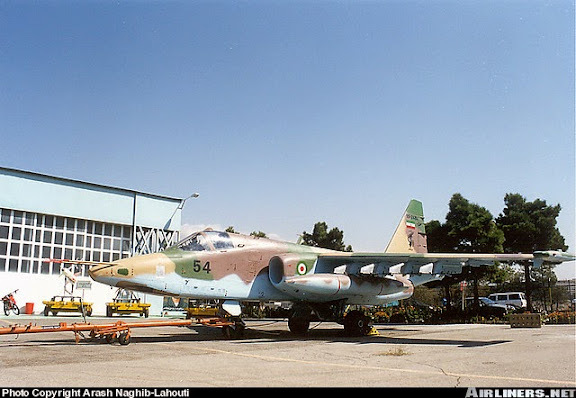 I can't believe that we had close to 90 Su-25 right before the Gulf war! 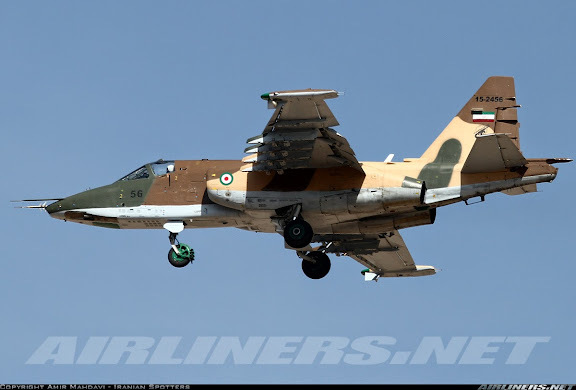 In 1988 this type alone flew 900 ground-attack sorties against Iran! .....prior to the recent transfer to Iraq, IRIAF had 13 of them (of which 7 are ex-Iraqi aircraft). @Brig. 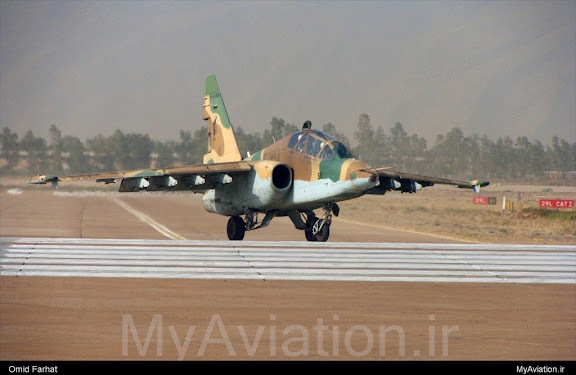 Gen. Basrawi Aren't Su-25 vulnerable to MANPADs due to their subsonic speed? Do you think with the Manpad inventory of ISIL these frogs would be successful? Should be interesting to see if the delivery schedules of the Korean FA-50's to Maliki's government will follow its own path or mirror Washington's reluctance. Squadron of highly capable jet trainers must be sorely missed at the present. If there were delays I wonder how quickly Russian yak-130 or chinese or other tenders could replace the order. Well, generally speaking you can't eliminate the risk of loosing aircrafts and helicopters and their crews but one can lessen the chances for the homing missile to follow its target by equipping them with flare dispensers and ECMs. Although it is becoming increasingly more difficult to counter-act an incoming missile. There's a continous introduction of newer and more capable MANPAD systems that can engage aircrafts at low to mid altitude with incredible effectiveness. It actually seems like the advancement in the area of Manpad technology is a step ahead of the counter-measures technology. The older 1960s/70s MANPADS like the Redeye, SA-7, Blowpipe etc had much weaker target-aquisitioning and were much more limited in their launch perimeters and the missile itself was not as manouverable, subsequently those MANPADS were much less of a threat to small jet aircraft which could deny the MANPAD operator an acceptable launch perimeter for a successful hit by flying tacticly (though it depended on how skilled/cautious the pilot was) and even if the pilot flew right over the MANPAD operator and exposed his engine exhaust, as long as he was alert and surveyed his surroundings with the naked eye thus being able to see that a missile had been launched at him and could track the missile with his eyesight, then he could still easily defeat the chasing missile through a combination of proper evasive manouvers and the employment of decoys (dropping flares), (but again, the pilots did not always notice a missile launch and there were no alarms going off in the aircraft as it was being targeted and fire upon!). Having said that, the legacy Manpads can without trouble bring down, commercial airliners, propeller driven transport planes and 1960/70s helicopters. Now as for the situation at hand, for one the Su-25 is, just as you hinted at, weak at gaining airspeed which is crucial, because higher airspeed at low altitude (where air is thinner) translates into the aircraft's flight control surfaces being more responsive (you gain airspeed as you go in for the ground-attack run, and once you pass the target, lower throttle so as to decrease heat signature etc). Secondly, i don't think any of the Su-25s have been equipped with ECM systems. Thirdly, they may or may not hav been equipped with flare dispensers. Fourthly, ISIS are likely to use, if not the most modern ones such as SA-24, FIM-92 Stinger (newer versions) and Starstreak, the later generation MANPADS like the SA-16, SA-18 and Mistral. However, as Mr Pyruz has mentioned, and as far as i'm aware, there are no reports of a downed Su-25. can any one tell that why such an important instrument is not being effectively utilized against ISIS? Is it due to non-availability of pilots if yes how many iraqi pilots are trained in flying these machines?